Libya’s Ministry of Interior, aligned to the internationally recognised Libyan Presidency Council and Government of National Accord led by Faiez Serraj, announced yesterday that it had taken over the security of Tripoli port. The announcement follows on from the announcement last Tuesday (2 October) by Mustafa Gadur, commander of one of Tripoli’s main militias, the 8th Force, more commonly referred to as the Nawasi brigade, to hand in his written resignation as commander of the force guarding Tripoli port. It also follows on from an earlier announcement by the Serraj government that its Ministry of Interior had taken over the security of Tripoli’s only functioning airport – Mitiga airport. The Ministry of the Interior added that “these security arrangements will have a positive impact on the country and the citizen by demonstrating security. This can only be achieved through the intensification of all the security services and the cooperation of the citizen who is at the center of these arrangements”, the statement concluded. It will be recalled that these so-called “security arrangements” refer to the plan by the internationally recognized Libyan government for its regular army and police forces to takeover the role of providing security from Libya’s irregular militias. The term “security arrangements” is prescribed by and within the terms of the 2015 Skhirat Libyan Political Agreement (LPA). As part of that peace agreement, which was born out of the Tripoli militia coup of 2014 which split the country politically, the LPA prescribed that Libya’s militias store their heavy weapons outside urban centres and that militias handover security activity to the politically-accountable regular police and army. Most of these militias, it will be recalled, were the irregular fighters, mostly former civilians, who fought against the Qaddafi regime (with NATO backing) during the Libyan February 2011 revolution. However, as a result of the post-revolutionary collapse of the Libyan state and its institutions, the new post-Qaddafi era Libyan authorities were forced to rely on these militias to provide security and deter a feared Qaddafist counter-revolution. But rather than being phase out over the ensuing years, the militias slowly gained greater power and influence and became entrenched in the Libyan state – at the expense of the formation of politically accountable, state-controlled regular army and police forces. 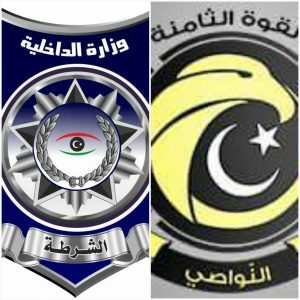 The entrenchment of militias in the capital Tripoli reached a level where it is alleged that they had huge influence (interference) on the Serraj government. It is alleged that they influenced government policy and the appointment of key positions – including ambassadors. Moreover, they are accused of forcing the Tripoli Central Bank of Libya (CBL) of issuing letters of credit at the favourable official exchange rate. This allegedly led to them acquiring huge overnight wealth. Some militias were indeed cited in the UN Libya Experts Panel report for such activity. Whatever the reality and facts are, the point is that: Tripoli’s militias having disproportionate political influence on Libya’s only internationally-recognized government and their access to easy wealth – became a widely accepted perception in Libya. This perception rankled with militias from other tribes, cities and regions with limited access to Tripoli and its levers of power and rentier-based wealth. The Tripoli militias’ disproprtionate and often monopolistic access to power and influence within the capital clearly contravenes the LPA which prescribed for a reconciliation government by and for all Libyans – and their militias. Again, whether true or simply a smoke screen, this monopolistic hold on power and wealth in Tripoli was cited as a grievance by the Tarhuna-based 7th Infantry Kani brigade as the motive for starting the recent south Tripoli militia fighting. The pretext was taken up at face value as a motive by both UNSMIL and the Serraj government, who have set about reducing this monopolistic hold by Tripoli’s militias through reactivated and revamped new “security arrangements”. Looking forward, the resignation of Mustafa Gadur, the Nawasi brigade commander, could be an isolated event. However, it could set a very important precedent for other militia commanders. If it is liable to being copied and pasted, it could be a way out for other militia commanders and their militias. Rightly or wrongly, Libyan analysts and commentators have interpreted and speculated that this resignation as head of Tripoli port security as a desire for Gadur to also abandon his role as commander of the Nawasi brigade. There are even unconfirmed reports that he wishes to leave Libya. The official Nawasi brigade media department Facebook page has spun Gadur’s resignation as a “serious step in activating the security arrangements in the capital” and “in the direction of building a state of institutions and of the rule of law”. It must be recalled, however, that there have been a number of previous false dawns since 2011 – of Libyan militias purporting to handover power to the state, only to quickly backtrack Time will soon tell if the Serraj/UNSMIL new “security arrangements” are real. It is reported that as part of the Zawia September ceasefire, Serraj and UNSMIL were granted only three months by the Tarhuna Kani brigade to implement the new “security arrangements” and the reduction of Tripoli’s militias stranglehold on the capital.